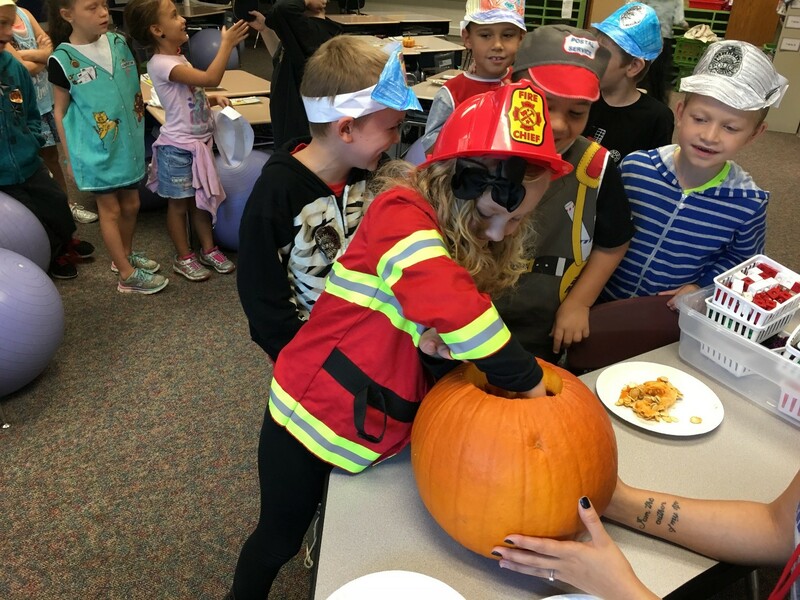 Each student had a small pumpkin to investigate. 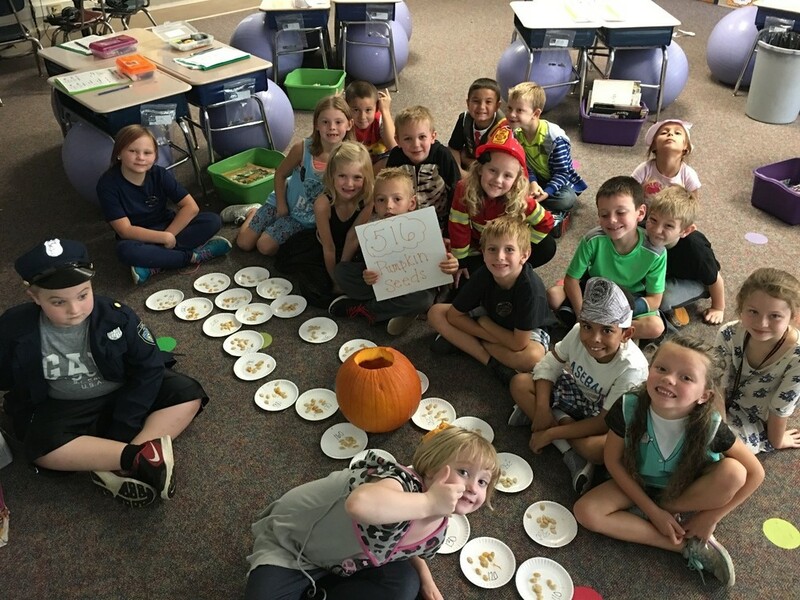 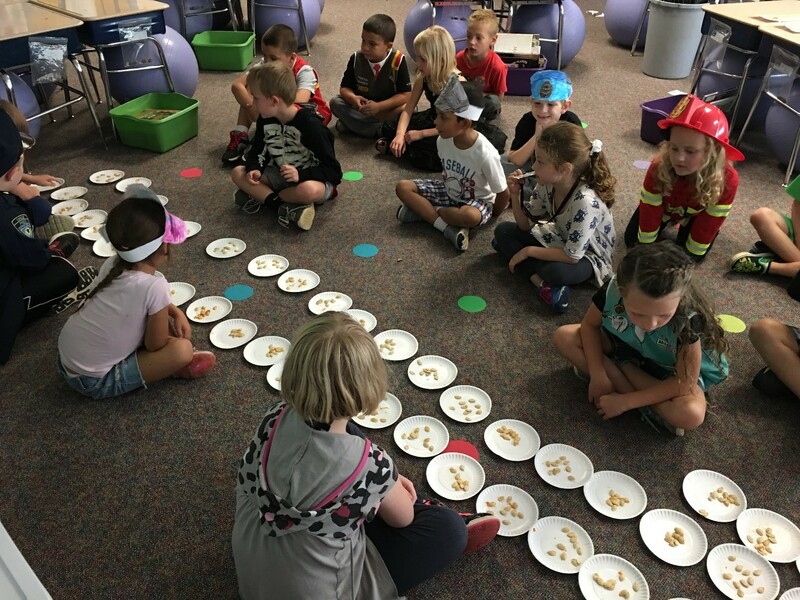 The investigation included things like predicting the height of the pumpkins, predicting if the pumpkins would float or sink, and the number of seeds in the big class pumpkin. 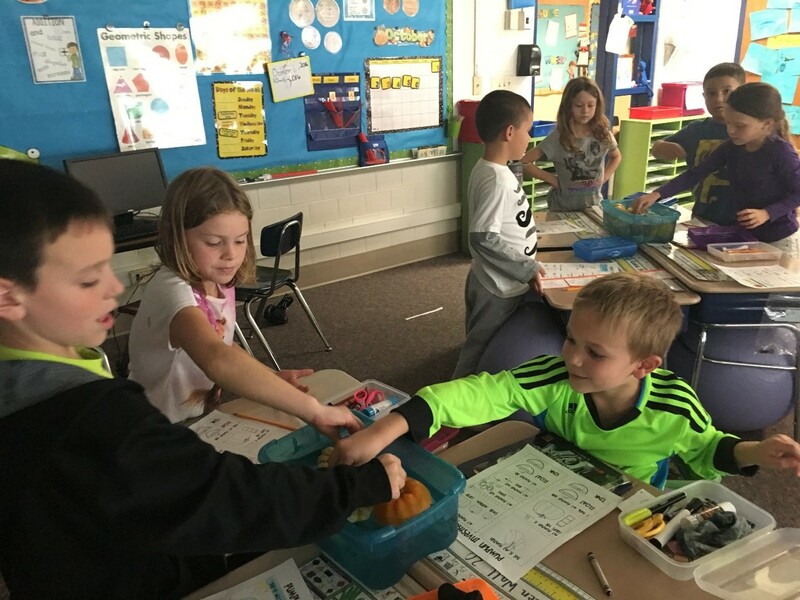 After making predictions they investigated to find the answers. 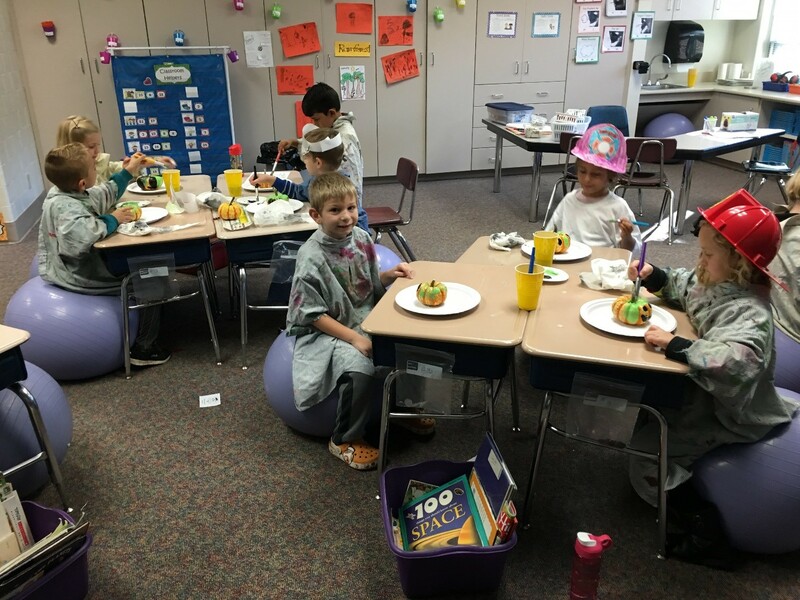 At the end of the week they got to paint their pumpkins and take them home.